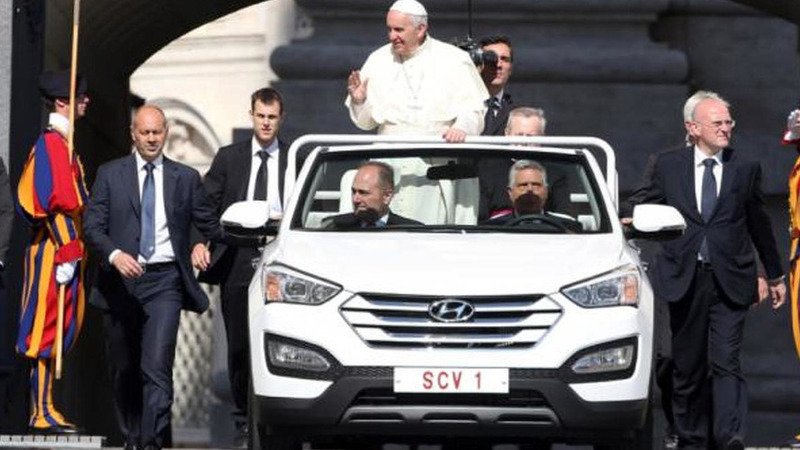 The latest Popemobile is a specially made Hyundai Santa Fe turned into a convertible. 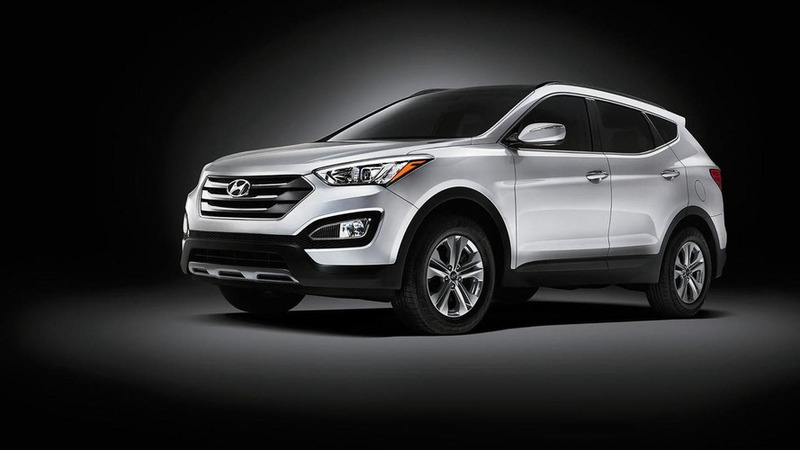 Hyundai has launched the 2015MY Santa Fe and Santa Fe Sport which both come with a series of mechanical updates. 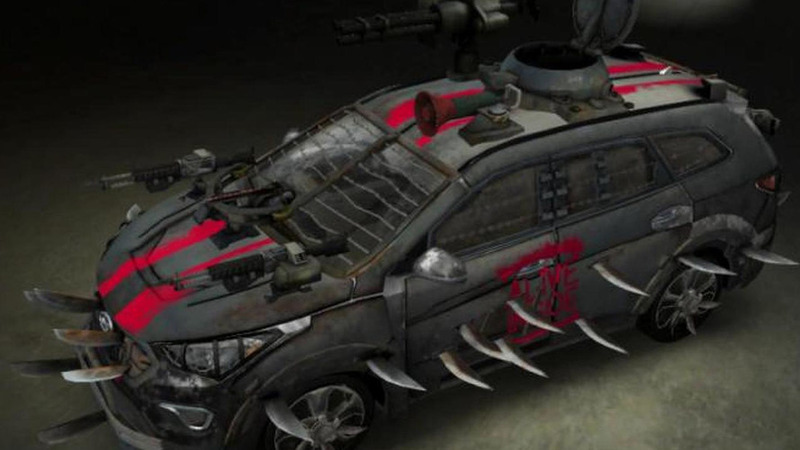 Hyundai has taken the wraps off their Santa Fe Zombie Survival Machine. 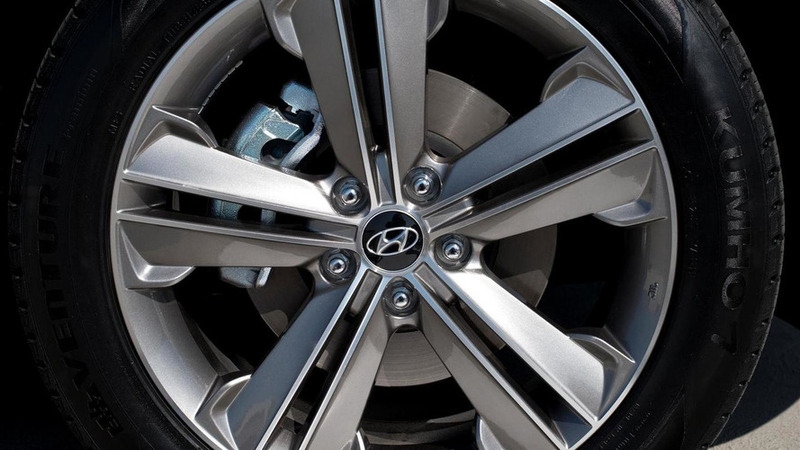 It will be unveiled at New York Comic-Con on October 10th. 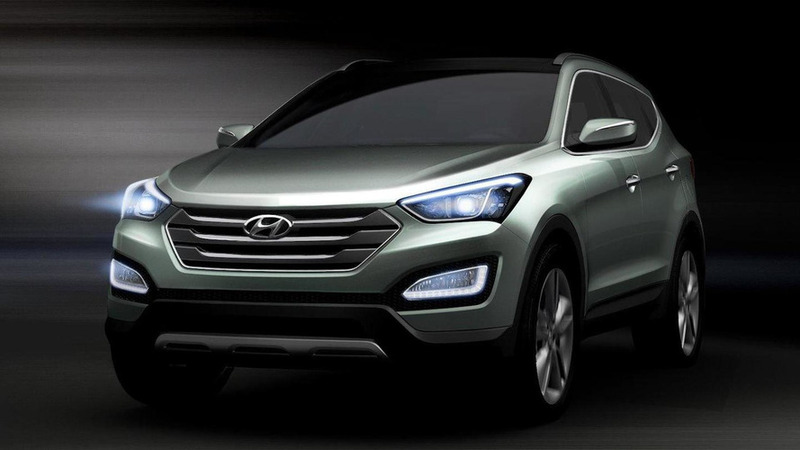 Hyundai has put a price tag on the three-row seating variant of the 2013 Santa Fe which starts from 28,350 USD. 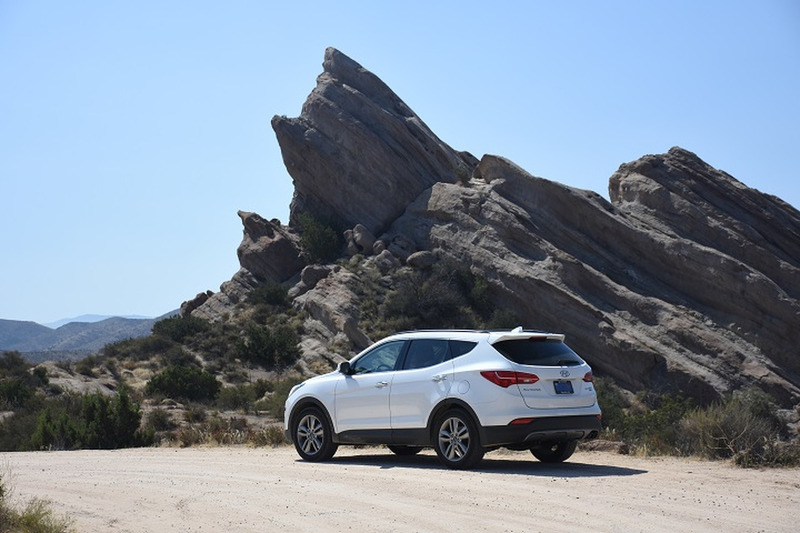 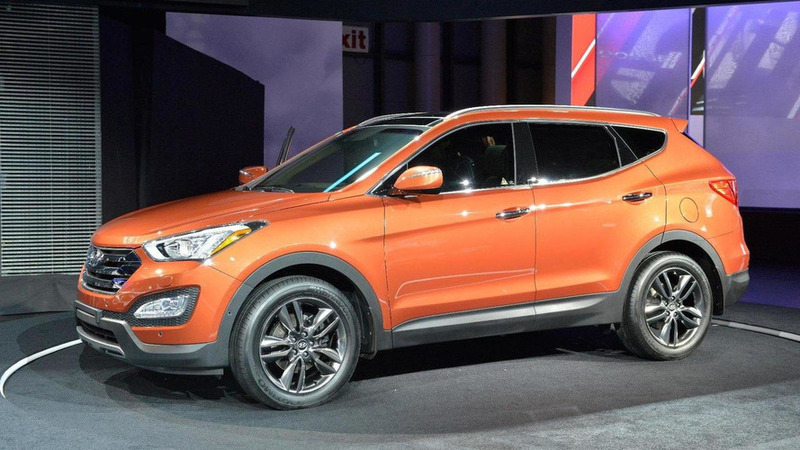 Hyundai has introduced the three-row, six/seven-passenger version of the Santa Fe in Los Angeles this week. 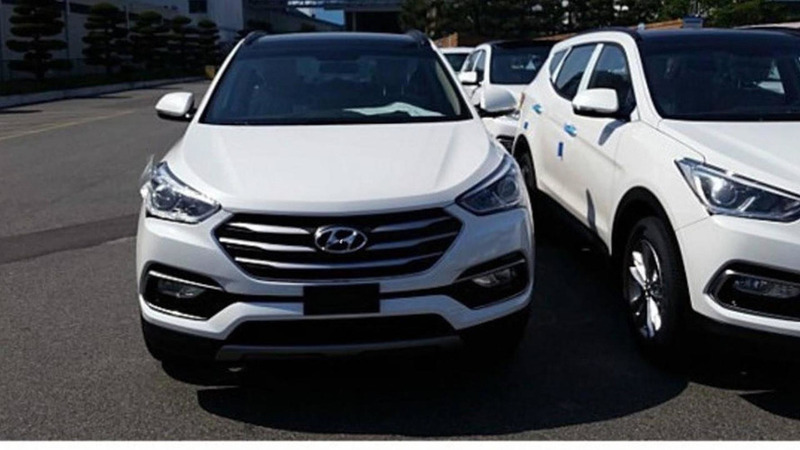 Hyundai has revealed this week the price list for the 2013 Santa Fe Sport which will start from $24,450 not taking into consideration the $825 delivery & handling fee. 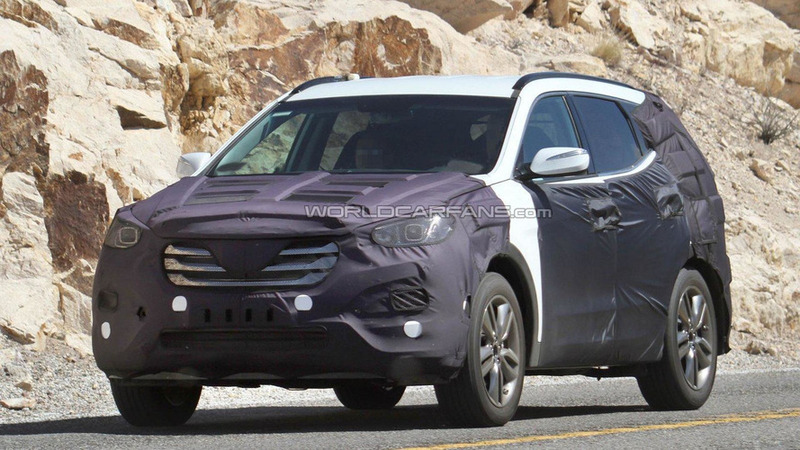 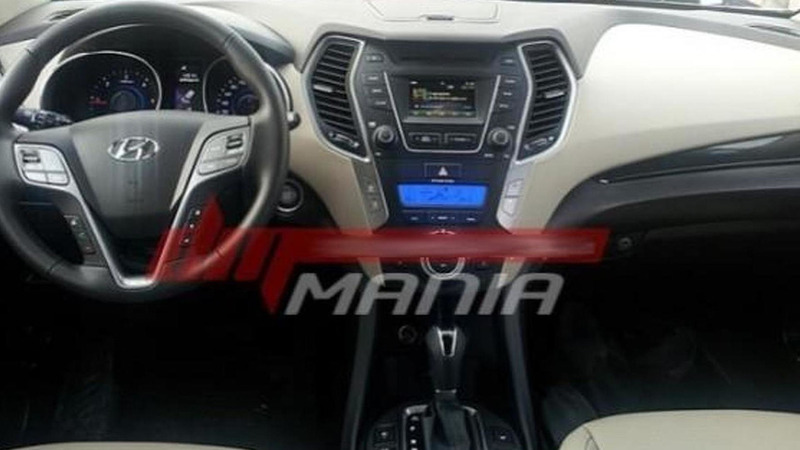 The first undisguised interior pictures of the 2013 Hyundai Santa Fe (ix45) have surfaced online, ahead of the crossover's debut at the New York Auto Show. 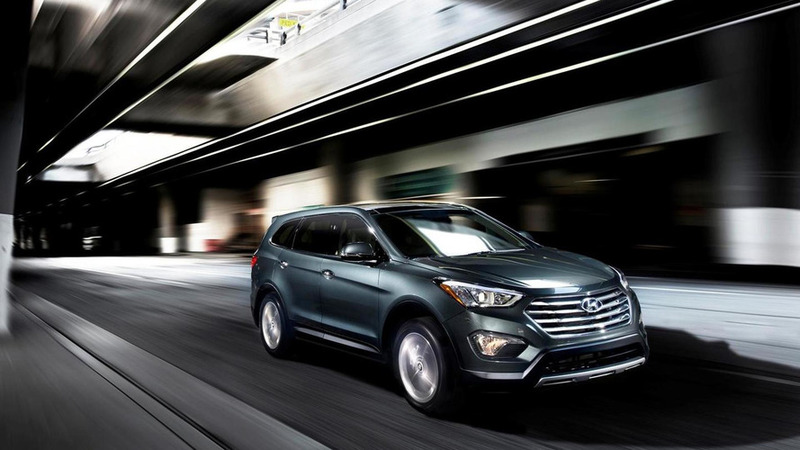 Hyundai has continued their promotional campaign for the new Santa Fe mid-size SUV ahead of its impending world debut at the New York Auto Show next month. 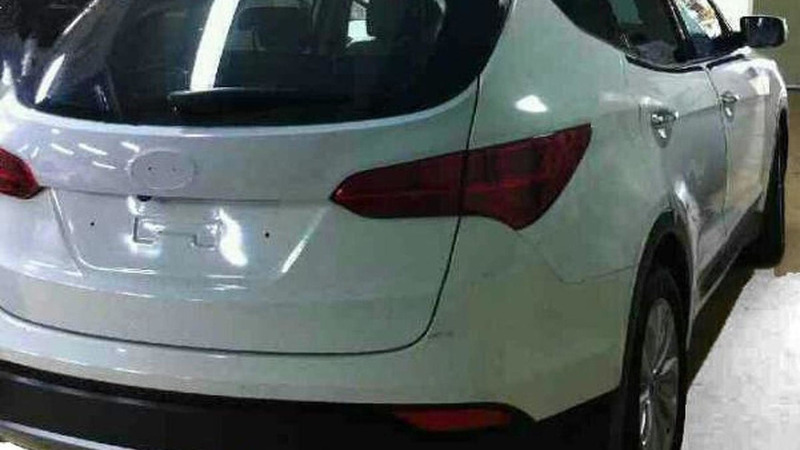 Back in January leaked images of the all-new 2013 Hyundai Santa Fe / ix45 gave a solid rear view of the mid-size SUV and now Hyundai has released two exterior images of the side and front quater which leave little to the imagination. 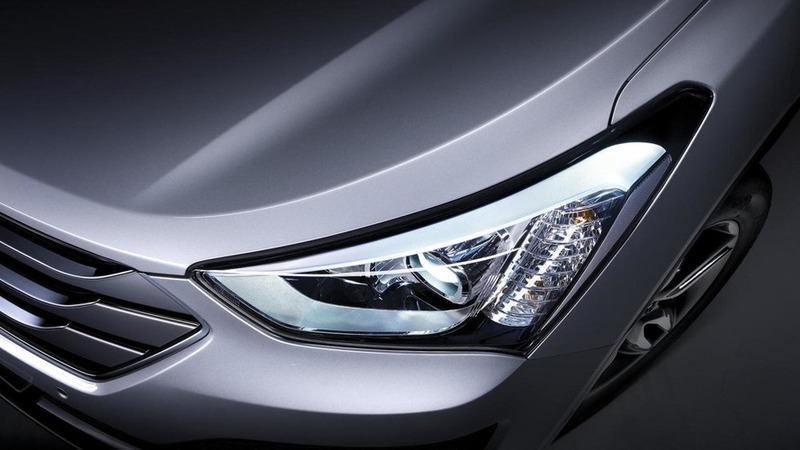 The images reveal the thick three-bar chrome grille and most of the styling that surrounds it on the front end. 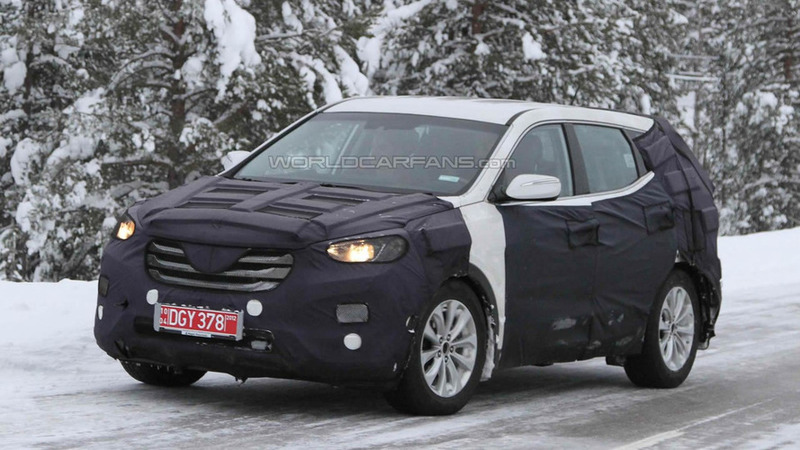 The overall shape seems more rounded than the current generation with headlights that wrap around to the side panels. 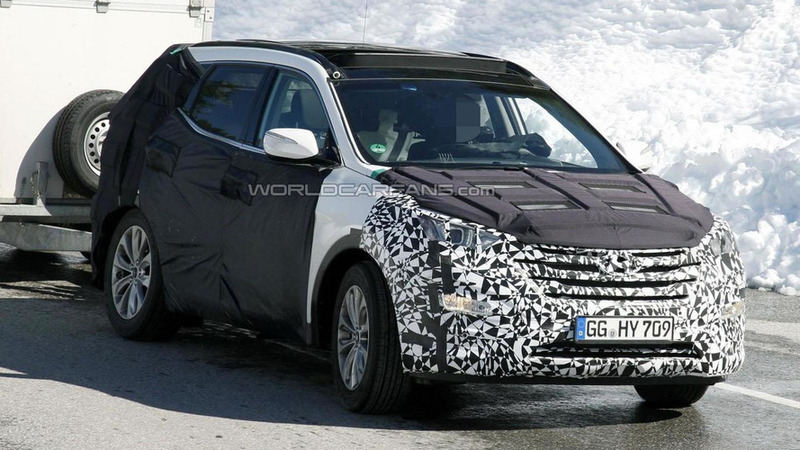 Caught undergoing testing in the Alps, the prototype has a fluidic sculpture design with a prominent grille, a distinctive greenhouse and a sloping roofline. 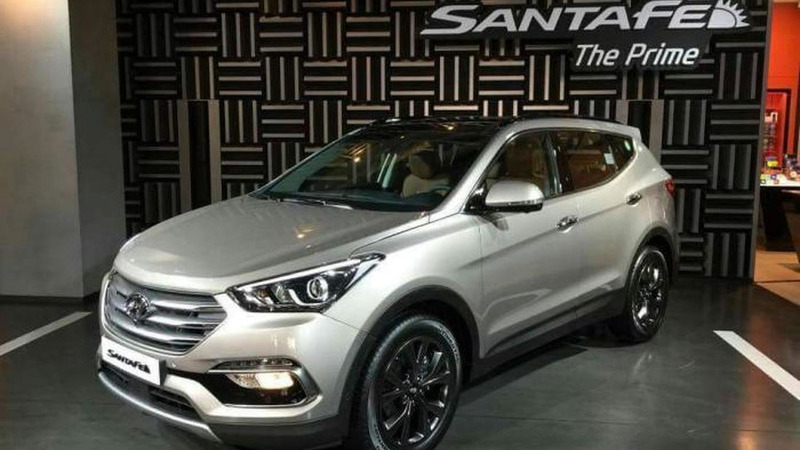 Next-generation Hyundai Santa Fe, code-named the ix45, is showing a bolder, more aggressive styling.